YES! You too can sit out and DO Free Advice for Free! These Sign images can be copied (as is, with credit due to The Free Advice Man) and printed on card-stock. 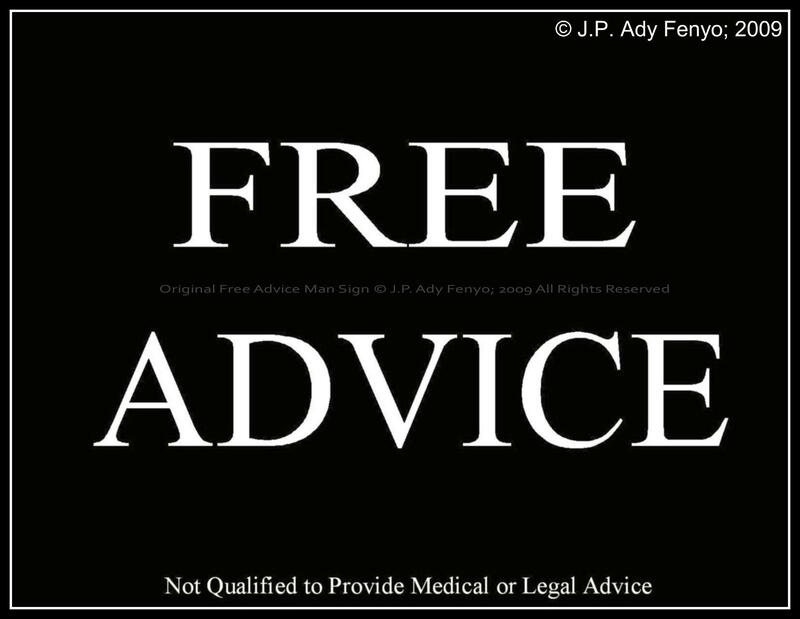 Just remember that you must not charge money for Free Advice, you must not mislead anyone into thinking that this is your own original idea, you must not provide medical or legal advice (unless you actually are a doctor or lawyer and can afford to), and you must not alter these signs! FOR MORE SIGN TYPES CLICK HERE!